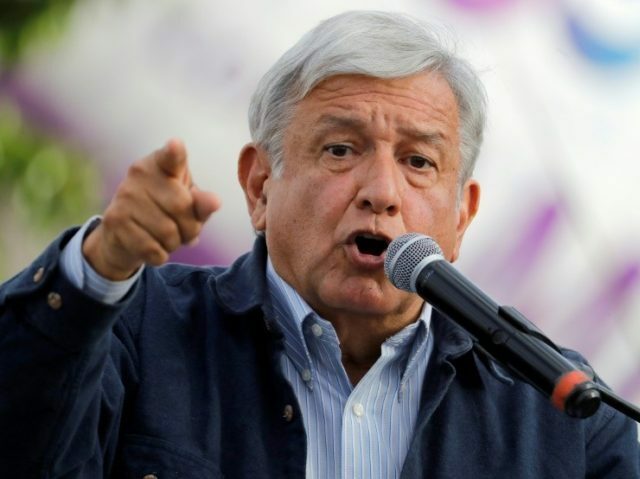 A new court document in the trial of Mexican drug lord El Chapo claims he gave money to the failed 2006 presidential campaign of current Mexican President Andres Manuel Lopez Obrador (AMLO). Federal prosecutors tried to keep information about bribes paid to top Mexican politicians under seal, records revealed. The revelation came in a brief aimed at limiting witness testimony to not hurt “diplomatic relations” with other countries. In the court document, prosecutors revealed they tried to shield Jesus Reynaldo Zambada from being questioned about a bribe allegedly paid to AMLO’s failed 2006 campaign. “As the government explained in its motion, the defense’s planned cross-examination was misleading, because the bribe in question had been paid to an individual associated with the failed presidential campaign, over a decade ago, of the current president of Mexico,” the document states. The information about the motion was first published by VICE. The trial has revealed that according to witness testimony, former Mexican Presidents Enrique Pena Nieto and Felipe Calderon allegedly took money from drug cartels. Pena Nieto allegedly demanded $250 million from El Chapo, but eventually accepted $100 in exchange for protecting the drug lord. Witness testimony also notes that the chief bodyguard for former Mexican President Vicente Fox worked under orders of the Sinaloa Cartel.